On Wednesday, July 26th, we proudly hosted our west coast clients at The Viceroy L'Ermitage for cocktails and conversation surrounding the power of emotion analytics. It is very exciting for us to hear the multiple and varied use cases from our customers from TV networks, content creators, and agencies. 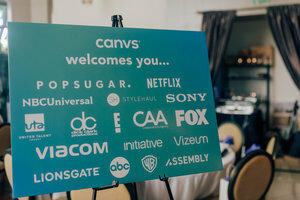 In attendance were Canvs enthusiast from Netflix, NBC, ABC, Fox, Stylehaul, CAA, Viacom, Initiative, 360i, Lionsgate, and Sony. During the conversation, we shared with clients a sneak peek at our product roadmap and collected feedback they have about the platform. We take our clients' feedback very seriously and regularly incorporate their suggestions into the product. Thank you to the countless clients that who attended! Your feedback is immeasurably valued and we look forward to our continued partnership. Couldn't make it? Check out some photos from the event below. To our New York clients, we'll be hosting a similar event on the east coast in the coming months. Stay tuned!